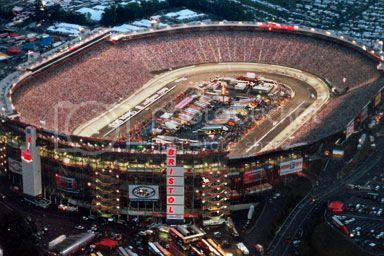 Greg bought us tickets for the Bristol night race next weekend. I have never been a Nascar fan. I've never been to race and I have never had a favorite driver. In fact I have usually made fun of those extremely rabid fans. So imagine my adjustment to the fact that Greg LOVES Nascar. We listen to it or watch it every Sunday. I have even slowly started recognizing names of drivers. Since I am going to my first ever race, Greg said I needed a driver. I suggested the name that my Peyton Manning loving soul brother roots for (Kyle Busch). After all if he is a Manning fan he can't have that bad of taste right? Greg said "Don't you dare" So I moved on to the driver that my ex brother in law likes (Jeff Gordan) and this time Greg said "WTF" I just don't think I have it in me to root for Dale jr......Because I have an evil ex named Dale. Doesn't he look excited to be my driver? 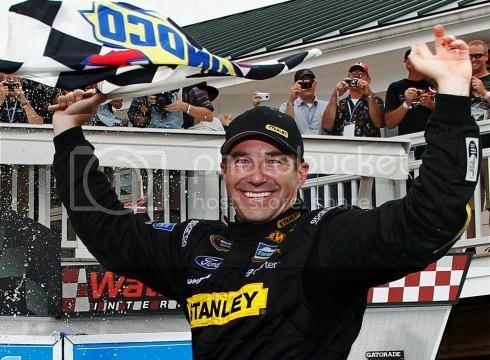 For those not in the know his name is Marcos Ambrose. He drives a Ford....he is sponsored by Stanley, which is my dads middle name. He is my age and his car is owned by Richard Petty. Greg said I needed to buy a shirt, but honestly I don't know if I'm ready for that kind of commitment yet. I can't root for Kasey he drives a Chevy. Driving a ford was part of the criteria. :) But only because I drive a Ford.